Winter is coming, which means that Game of Thrones fans still have quite a bit of time before they can expect Season 6 of the HBO drama (and probably even longer for the next book in the series.). The show is expected to return sometime in spring 2016, which leaves so much time to speculate wildly about what's going to happen next season. Is Jon Snow alive or dead? What's happening with the war after Stannis's death? Is Daenerys OK? I don't have any answers to these questions. I'm just as much in the terror-filled dark as the rest of you. What we do know is that Kit Harington has said time and time again that he is not returning to the acclaimed show, (although I haven't given up hope that he's just trolling us all). 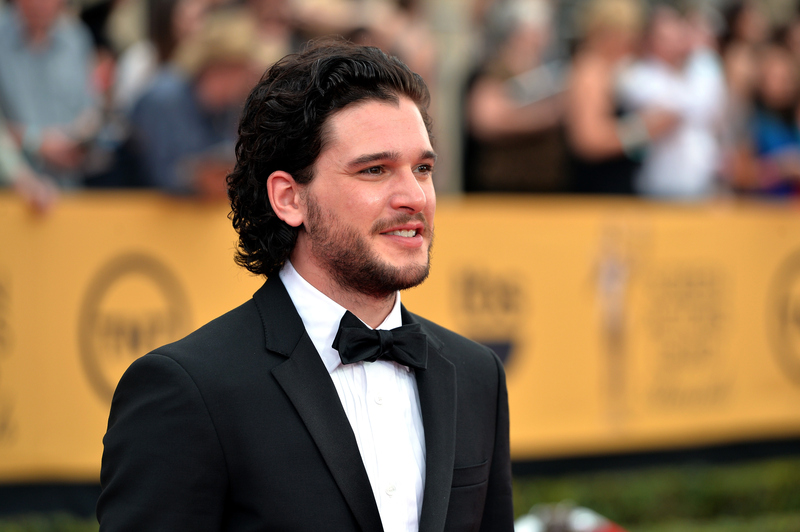 Throughout the run of GoT, fans have clung to one steadfast symbol of Jon Snow's fate, Harington's hair. His signature black tresses were tied to the role, one could simply not be without the other. So, since the season finale back in June, all eyes have been on Harington's hair length. If he cut it, surely, that would mean that he was really, undoubtedly, absolutely, seriously not coming back for Season 6. But the last season wrapped up nearly six months ago and he hasn't cut it. Is this his way of trying to communicate with the fans about Jon Snow's destiny? Maybe! Or maybe not. On Tuesday, Harington told Entertainment Tonight that he could cut his hair whenever he wants, saying "I can chop it off right now," and crushing the dreams of GoT fans everywhere. Again, there is a possibility that he's just pulling an elaborate ruse on the TV loving world, but, if Jon Snow is indeed gone for good (valar morghulis) Harington should consider keeping his trademark look. His hair is amazing and, really, it's kind of a gift because not many men can pull the scruffy, medieval thing off. Further proof of the wonder that is his hair is provided below. I mean, the abs are great, but look at those luscious locks. It adds so much to his brooding vibe. Slurping a drink and his hair is still on fleek. Hair like that is definitely something to smile about. The wind gently tousling his hair works too. Bespectacled and still rocking the curly mane. No further evidence. His hair should stay forever.